Dhaka, 3 April, Abnews: Country is expected attain a record 7.65 percent GDP growth in the current fiscal year (2017-2018), which is 0.25 percent higher than the budgetary target of 7.40 percent. Planning Minister AHM Mustafa Kamal on Tuesday came up with the disclosure at the meeting of the National Economic Council (Ecnec), held with Prime Minister Sheikh Hasina in the chair at the NEC conference room in the city. "The GDP growth will be 7.65 percent this fiscal year. It's our initial estimatimate," the Planning Minister said while briefing reporters after the meeting. 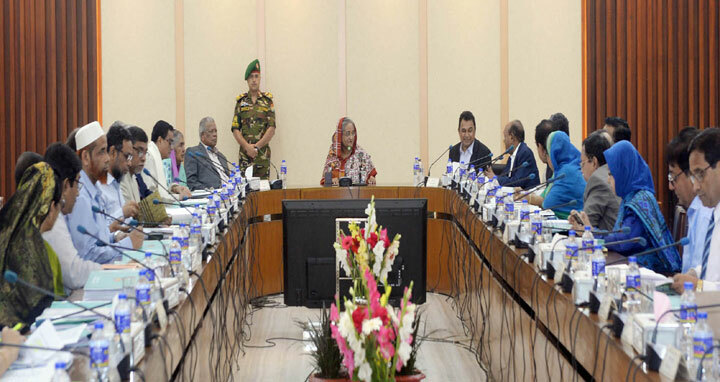 The Minister first made the disclosure at a meeting of the Executive Committee of the National Economic Council (ECNEC) held at the NEC conference room in the city's Sher-e-Bangla Nagar area with ECNEC chairperson and Prime Minister Sheikh Hasina in the chair. In the last fiscal year (2016-2017), the GDP growth rate was 7.28 percent, he said. The minister also informed the Ecnec meeting that the country's per capita income increased to US$ 1752 now from US$ 1610.